In light of Yehuda’s recent announcement I felt compelled to reprint his introduction to the Rav’s Nano book. There are stunning yet simple lessons in their that speak to our present time. Nothing more be said. In all the years that I have known my father, I have to admit I have never seen the Rav so excited by a singular subject as he was about nanotechnology. The Rav’s excitement however can be rather misleading for most people. It was not, in any way, based on the obvious 1 percent physical technology and the promise that nanotechnologists are speaking about. The Rav, as usual, saw far beyond that. In nanotechnology, the Rav had found the language, the concepts and the direct parallels with which to convey the most important aspects of Kabbalah’s own technology. The Kabbalists of history always had great respect for science in that scientific truths are a direct reflection of the spiritual truths that underlie all reality. They mirror the revelation of the Kabbalistic secrets taking place in the physical world, within the realm of human consciousness. In other words, as the Kabbalists uncover new lofty metaphysical truths encrypted into the texts of the Zohar, science immediately unlocks truths concerning the physical laws that govern the natural world. As human consciousness rises on a spiritual level, discoveries in physics and medical science automatically follow suit. Kabbalists always embraced the sciences. 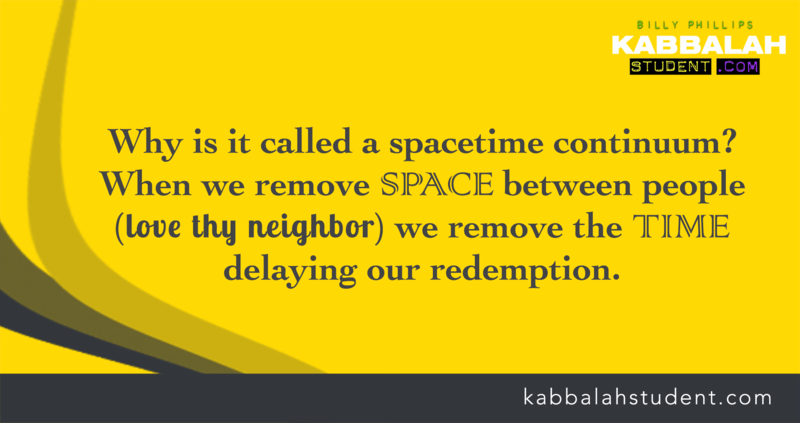 It is now time for the sciences to embrace Kabbalah so that two sides of one coin can become whole. The Rav, astonishingly, has achieved just that with this book. Nanotechnology is offering us nothing less than an opportunity to regenerate the human body and achieve the ultimate goal of biological immortality. The way in which nanotechnologists describe the methodologies for achieving such a grand goal mirrors precisely the formulae and techniques spoken of in the Zohar some twenty centuries ago. What was lacking was the ability to draw these parallels in a fashion that would be both achievable and intelligible to the average lay person. In all of his personal excitement, the Rav knew all along that his lifetime of monumental effort towards reaching this historic moment in history would come at a cost. My father was prepared to pay that cost as did all great Kabbalists of history. He did. When Kabbalists reveal secrets that are deep, secrets that are handed over to a generation not yet deemed worthy to appreciate and accept them, the soul of the Kabbalist leaves this world. Or they must suffer tremendous pain, emotionally, physically and spiritually. This book began in the conference room of the Los Angeles-based Kabbalah Centre in 2003. From the time the Rav started writing our goal was to have this book published and in the hands of the world by winter of 2004. God had other plans. After a few months of writing with such passion and vigor, the Rav suddenly had a stroke. I knew immediately it was because of the secrets that the Rav was putting to paper. You see, a Kabbalist is not a disseminator of information. Anyone can pass along information. A Kabbalist must become a channel. Most people have no conception what being a true channel means. The Kabbalist, in order to channel, must become a living, breathing, shining example of the secrets that he wishes to convey to others. The Kabbalist must embody all that he shares. In other words, it’s not do as I say, but rather, do as I do and you too will achieve what I’ve achieved. The Rav has always been about one thing and one thing only: mind over matter. Kabbalistic nanotechnology is all about mind over matter. Consequently, before the Rav could transfer the wisdom of Kabbalah to paper, he had to live this concept so that others would have a well-trodden path that they could walk in order to achieve the same without having to suffer. In early September, 2003, the Rav was rushed to the hospital. Doctors said the Rav had a stroke. The neurosurgeon took my mother aside and told her that my father would be a vegetable because of the particular part of the brain that was afflicted and the large amount of damage sustained. It was Friday afternoon. The Sabbath was nearly upon us. A few close friends rushed to the hospital to be with our family so that we could have at least 10 people for the Shabbat. I knew deep in my soul, right then and there that the Rav was not a victim of circumstance. Strokes are not random occurrences. No disease is. This was the Rav’s conviction all his life. The Rav took on this fight, willingly, to put into practice what the ancient Zohar promised so long ago—that we, mankind, have the ability to achieve mind over matter and heal ourselves of all sickness and disease, at the most fundamental level of reality, including our atoms, the subatomic particles that produce an atom, and far beyond that. As the Rav lay motionless in the hospital room, with our close friends surrounding us, we entered into the Shabbat with a sense of total certainty in the Rav’s recovery. Yet, I felt a deep, indescribable sense of pain at seeing such a powerful, loving, larger than life hero look so helpless, at least from the limited perspective of my own eyes. We opened the Rav’s eyelids as he lay there in a comatose state. No one was home. It was a frightening image but yet, I still sensed a warm glow radiating from my father’s face that filled me with certainty. My beloved mother has the courage and compassion of the greatest of biblical heroines and matriarchs. And she has the soul and kindness of an angel. She knows my father better than anyone on earth. My mother refused to accept what the neurosurgeon had told her. Not out of a sense of denial. Rather, it was her sense of knowing exactly who was lying in that hospital bed. My mother cried painful tears that night, yet she ran around that hospital room making sure all of our friends were comfortable and taken care of. She literally sat for hours in the lavatory, which was opened up and part of the room, so that our friends could sit comfortably on chairs close around the Rav’s bed. My heart was broken. Yet I knew I was seeing greatness beyond what words can describe. My mother, even in her greatest time of need, put the needs of others first. As the late Friday sun began to descend into the western horizon and the awesome energy of Shabbat began to permeate the room, we started to sing Lech’a Dodi, the famous hymn that has the power to attract and capture the incoming energy the Kabbalists call the Shabbat Queen, which is the female aspect of the Divine Force. It was the hardest Lech’a Dodi I had ever sung in my life. To feel total certainty in the teachings of Kabbalah, to have complete conviction in the power and greatness of my own father, and simultaneously to be experiencing the inconsolable pain that softens one’s heart and wounds one’s soul is quite a paradoxical and conflicted state of mind to find oneself in. As the song began I watched my dear brother Michael burst into tears uncontrollably. So too my mother. I sobbed so hard I could not get the words of the song out. And then suddenly, in the middle of this ancient haunting melody, something shifted. The room felt like it elevated. A spring of hope flowed through my heart. The doctors were still adamant the my father would be a vegetable. They checked the charts. Brain damage is brain damage. Many long hours into that night, around 3:00 am in the morning, the Rav started moving his right hand. He was trying to glide it over his body, a healing technique that he used every day and taught to students all around the world. Then the Rav’s mouth started moving. He was whispering, mumbling but could not get any words out. And then, all of a sudden, the Rav started reciting a prayer. And a minute later all of us were singing Lecha Dodi. It was 5 long hours after we had originally sung it, but that’s the Rav. He does things on his own schedule; he has his own timetable and he loves to take his time with everything that he does. Needless to say electricity filled the room. We opened the Rav’s eyelids but still no one was there. My father was still unconscious. Yet he sang every word of the song. Such is the path of the Kabbalist. All of us in the room remained convinced that the Rav would make a miracle occur and he would do so before Shabbat ended at sundown Saturday night. All through the rest of the night and all day Saturday the Rav was still unconscious. The doctors were still adamant that my mother would inevitably have to make a decision about life support because of the extensive brain damage. The Rav’s favorite part of Shabbat has always been the Third Meal, which takes place late Saturday afternoon. According to the Kabbalists, the Third Meal of Shabbat is a powerful and profound time of healing, especially to draw the power to fortify the immune system of the body and the immune system of the world. Third meal energy is also all about the Final Redemption of mankind, a time when mind over matter will become the new reality. It was during the third meal when the Rav did something quite spectacular. My father opened up his eyes and spoke coherently. The Rav then did the blessing over the wine, his eyes wide open, reciting each word. When he concluded, he drifted off to wherever it is he goes and he fell back into his comatose state. But we all knew that the Rav was now in full control. It was mind over matter. One of the doctors on staff, a cardiologist who was monitoring the Rav’s heart, took one of our students aside, who also happened to be a cardiologist and expressed utter amazement about the Rav. He demanded to know who that man was lying in that bed and pleaded with our friend to send him information about him. A few months later, one of the top neurosurgeons in the country, from Houston, Texas, who helped care for the Rav, stood up in front of 2000 people during the Kabbalah Center’s Passover Event in Miami, Florida. He said it was absolutely impossible for the Rav to be doing what he is doing, based upon the current damage in the Rav’s brain. You see, prior to this neurosurgeon addressing the crowd, the Rav, physically strong and robust, gave a terrific lecture to the crowd. The neurosurgeon was clear: no medical journal on earth could explain or account for the Rav’s condition. It defied all the conventional wisdom of medical-science. It is now four years later. The Rav is still not the Rav we knew in 2003. But neither are we the same people. The Rav took it upon himself to fight the root of chaos, the root of disease and the root of the Angel of Death himself in a realm far more authentic than our physical world. When I or others need the Rav physically, the old Rav shows up in an instant and it takes your breath away. He stays as long as one needs him and then, a moment later, the Rav is somewhere else fighting the good fight so that the rest of the world can soon be free of chaos and destruction. This is the battle all Kabbalists fight, whether the world is aware of it or not. What makes this particular battle more unique than all others fought by Kabbalists throughout history is that the Rav should not be here. Plain and simple. Yet he is. And the secrets that the Rav was revealing and writing about at the time of the stoke were the secrets of mind over matter, the Grand Unified Theory, and the methodology for achieving spiritual and biological immortality. Yes, Kabbalists are big thinkers and they set lofty goals, regardless of what others may think. But the Rav never expects anyone to do anything that he has not done himself. The Rav never expects anyone to achieve anything that the Rav has not achieved himself. You see the Rav cannot do it for us. No Kabbalist can. It is the duty, birthright and destiny for every person to achieve their own state of pure happiness, never-ending fulfillment and everlasting life. That is the gift God gave each man and, as you will read in the pages ahead, that is our destiny. But the Kabbalists do have the ability to share the secret with the world. But they only share secrets that they themselves live and embody. Two things determine whether one is a true Kabbalist. First, he must have a bona fide, recognized teacher who is a master of Kabbalah, one who is responsible for transmitting the secret lore to his student. Second, he must live the principles that he will teach. My father buried a child so that he could share the solution and wisdom for alleviating grief in one’s life. My father lost all of his money, leaving him and my mother financially destitute for years so that he could teach the importance of appreciation for a single penny. He was forced to sleep in his car and share a room with twenty strangers every night as he started out trying to build the Kabbalah Centre after the death of his teacher so that he could learn the power of sacrifice. He knocked on countless doors selling Zohars to learn the value of changing a single person’s life in a single moment at their door-step. My father endured slander, persecution and libel by the religious establishment so that he could discover the importance of spirituality over religiosity. He was humiliated, maligned and vilified so that his ego would be ripped from his being in order that he may teach the purpose and value of authentic humility and true love of one’s own soul. He watched his closest students, in whom he invested 20 years of his life loving and teaching, turn on him and walk away to start teaching their own version of Kabbalah. This happened so that he could learn the importance of unconditional love, expecting nothing in return for the love that one gives. And after all this, when the Centre was booming with hundreds of teachers and thousands of students in Israel in the mid-1980s, my father watched the entire organization walk away over night, losing everything he had built. This lesson was to teach him persistence and constant trust in the Creator. I cannot possibly include all the strange illnesses and debilitating pain that I watched him endure over the years. Through it all he smiled, even as he complained. The defamation of his character never stopped, even to this very day. And I watched, first hand, how it only made him stronger, more determined and happier in the work that he was doing. I believe he learned that lesson for me. My father literally slept 2 hours a night, every night of the week for at least twenty years so that he would master the lesson of never yielding to the will of the body. I watched him pray hours upon hours, through the day, and then again rising every single night to pray through the night. As the Centre re-expanded all over the world, he was also forced to stay up 23 hours a day, in between his prayers, listening and helping to solve the heart-wrenching problems of people he loved all over the world. Their pain was his pain, as if his pain was not enough. Therein lies the power of all the Kabbalists of history and the greatness and divine-inspired determination of my loving father. Many sections of this book were written by the Rav prior to his stroke in the fall of 2003. A lot of this book was written after it. Thus, you may notice a different tone or style at various times but this is merely a reflection of the Rav’s different state of consciousness which is merely channeling his writing on a different frequency, so to speak. Naturally, the style and tone are not what’s really important. The message is what’s important. In truth, the content of this book started being written many long centuries ago. But the world was not yet ready so the book, which is nothing less than the mysteries of the Zohar made easy, was never published. In our generation, we missed our winter 2004 deadline perhaps because our generation was also not yet ready to hear these startling truths and astonishing secrets. Well, something has changed. I am therefore jubilant beyond what words can describe because this book, this new and definitive understanding of the Zohar, this very section of the Zohar is now in your hands. The fact that people from all walks of life are now privy to the wisdom and power inside this text, means we have arrived at the time of our Final Redemption and the end of all chaos. There is not a Kabbalist in human history—from Rabbi Akiva, Shimon Bar Yohai, Rashi, Abraham ben David of Posquieres, Nachmanides all the way to Rav Isaac Luria (the Ari Hakadosh) and Moses Haim Luzzatto (the Ramchal)—who were chosen to divulge scientific, kabbalistic secrets with the simplicity and elegance as the Rav has done with this book. But without question, it is upon their shoulders that the Rav stands. They all form one chain. The long lineage of Kabbalists are merely different branches of one tree—the Tree of Life—emanating from a single root and seed known as Rabbi Shimon bar Yohai. But I am, nonetheless proud, privileged and I must add speechless to know that it was my father, the Rav, who was chosen to deliver and make manifest this, the final message and blueprint, for achieving what is the Holy Grail of science and ultimate dream of mankind— immortality and the end of all death. It’s funny, because those select teachers (chevre) and students around the world, who really know the Rav, people who would take a bullet for my father, they are not surprised that it’s the Rav who is accomplishing all this. Naturally, if you read the stories and biographies of the great Kabbalists of history, all of their close students revered and considered their particular master to be the greatest in all of history. This reverence in no way diminished the accomplishments and greatness of the previous Kabbalists; it’s just that each student feels a special bond to their teacher. But there are two things different in our generation; and the Rav’s close students know it. The Rav has my mother, Karen. My mom is a teacher and leader, in her own right, an equal partner to the Rav. But she is also mother to an entire generation who, like Rachel, sheds tears for the pain of all people all over our world; Second, the Rav has produced this book, his greatest of all works, one that needs to be constantly re-read to unravel its endless depth of wisdom. I know this book is actually a sacred section of the Holy Zohar itself. Never has such clarity of thought, as it relates to an actual formula for immortality, been put to paper. On behalf of my brother Michael and myself, I pray that everyone is touched by the shining splendor of the Rav’s soul, the sharing consciousness that permeates every page and the conviction and superhuman certainty that radiates from my father’s being. Also, this reminds me of the kabbalistic teaching that I’ve heard over and over and over: the physical world that we see before us is an illusion. It feels like Yehuda made a big sacrifice for all of us just like other kabbalists have done throughout history–bringing the final redemption. I’ve been studying Kabbalah for 11 years and I probably wouldn’t even be alive if it weren’t for Yehuda’s books and the Light he has shone and continues to shine. To me, Yehuda is the greatest Kabbalist ever. Especially now. Of course, he made it clear that he doesn’t want to be treated as such but I that’s too big of a request from someone whose life is what it is because of what he’s shared. We all owe Yehuda so much–and like I’ve learned in Kabbalah, we should never forget the good another person has done for us. We all owe him big time. Hi Billy: Amazing story, blessings to you and yours and especially to the Rav’s family for sharing it. Two questions for you. (1) What is the title of the book referred to in your article and where can one get a copy? (2) Where can one get a copy of the Zohar in English? Is it just one book or is it volumes? RSVP Thanks Cecil. The book is written by the Rav and it’s called Nano. The English Zohar is available by calling any local Kabbalah Centre. For instance, Toronto is 416-631-9395 and Los Angeles is 310-657-5404. You can order from either of those locations. Thank you for posting this. I hope that the students of the Kabbalah Center who have been a part of the center for many years, reread this. It was beutifully written by Yehuda, and has powerful meaning and hopefully an impact for those who need to be “woken up.” I think many of us are just a bit to comfortable these days. This is a great reminder. The apple doesn’t fall far from the tree! And, actually, the apple is still on the tree.. Rav and Karen Berg, Yehuda and Michael Berg are my blessed and wondrous Teacher. My Teacher shows me what the lesson is, and gives me the chance to learn it…. and keeps the certainty that I will learn it. Moments like this open my heart and fill it with love and gratitude. Thank you Billy for sharing our Teacher with us. I love you. I bought 1 when it came out. I was blown away by it. Gave it as a gift to a friend. And yesterday I bought me another one for me, but in Spanish so i can also comment on these ideas in Spanish too hah. Perhaps this may resonate with you- not sure why, but feels like it. Anyhow, I was ruminating over the world’s before there was light, and in the process; I had a brief vision of Rav praying and pacing back and forth slowly in what seemed to be a study of sorts, as it was filled with books. The Rav was wearing glasses that were tinted, but I could see his eyes. He was wearing fine garments of white tones and a beautifully vivid blue…and just as quickly as the vision flashed across my mind, it too did vanish. Strange thing is, I have little to no idea of who the Rav is in the first place. I don’t study Kabbalah- I am actually a (Judeo) Christian who enjoys connecting the dots on the deeper side of my faith. Anynow, from point A of ruminating, to point B of that brief vision, to point C of “randomly” coming across your website in the mix of it all for the first time, I guess I’m a little thrown off- but that’s okay. After reviewing your website for the last 48 hours and ruminating over the Jesus-Kabbalah connection and what you convey through your fellowship with the Rav; well, it’s confirmed for me that I need to read the Zohar and that’s really it. There ya go.